It was only a few seasons ago when England seemed to field between four to six current or former Aston Villa players in the national team. It actually made watching international matches like viewing a bonus Villa match for supporters. Since the club don’t have a player in the current team we’d like to thank Labrokes Poker for providing us with three England shirts to allow at least some Villans a chance to wear their national jersey. 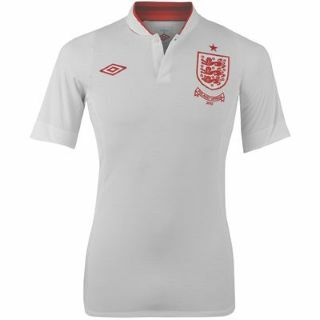 MOMS has three England home shirts to give away (one small, one medium, one large) just for demonstrating a bit of skill in answering a simple question and to vote for the Villa player that has demonstrated the most skill in your opinion, so far this season – since skill is needed to be successful in both poker and football. Who are the four present/former Villa players pictured in the top picture? Winners will be selected randomly for each of the three shirt sizes. The competition closes at 00.01 on Monday November 5th (bonfire night). The three winners will be contacted on that day and asked to provide their postal addresses for their prize. We will also announce the final vote for Villa’s most skillful player within that week. Good luck and UTV!